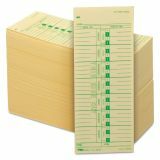 TOPS Time Card for Acroprint/IBM/Lathem/Simplex, Weekly, 3 1/2 x 9, 500/Box - Manila weekly time cards are equivalent to cards from time clock manufacturers. 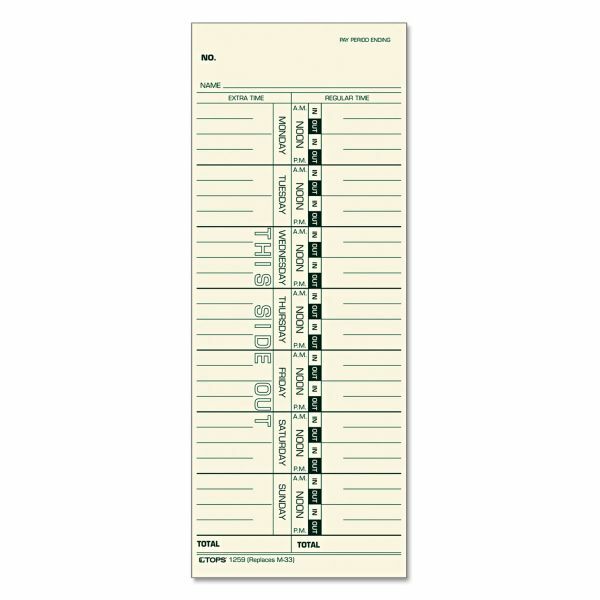 Each time card features the names of the days printed on the card. Left side of card is for extra time; right side is for regular time. The front is printed in green ink. 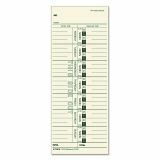 Time cards replace Card 10-800292, M-33, 33, 1950-9305.